NEW YORK (AP) — The stock market briefly dropped, then recovered, after the Associated Press' Twitter account was hacked and a fake tweet about an attack on the White House was posted. The AP released the following statement at 1:12 p.m.: "The (at)AP twitter account has been hacked. The tweet about an attack at the White House is false. We will advise more as soon as possible." The Dow Jones industrial average fell more than 150 points after the fake Twitter posting, then quickly recovered. Other markets also reacted to the fake posting. The price of crude oil fell, then rose back. The yield on the benchmark U.S. government bond, the 10-year Treasury note, briefly dropped as traders shifted money into low-risk investments. The turmoil lasted for about five minutes. By about 1:13 p.m., stocks, bonds and crude oil were all trading about where they were before the fake tweet was posted. The stock market started higher Tuesday following strong earnings across a range of U.S. industries. Makers of handbags, jet planes and chemical products all turned in good results for the first quarter, reviving investors' confidence after a sharp downturn in the stock market last week. Coach, Lockheed Martin, DuPont and Travelers were among the winners after they reported results that were better than analysts expected. The Dow Jones industrial average and the Standard & Poor's 500 index both rose nearly 1 percent in morning trading, putting them on track for a third straight day of gains. A resurgence in corporate profits after the Great Recession has been one of the drivers that pushed both the Dow Jones industrial average and the Standard & Poor's 500 index to record levels this year. However investors are starting to question how much further company earnings can improve without the outlook for growth in the global economy improving as well. 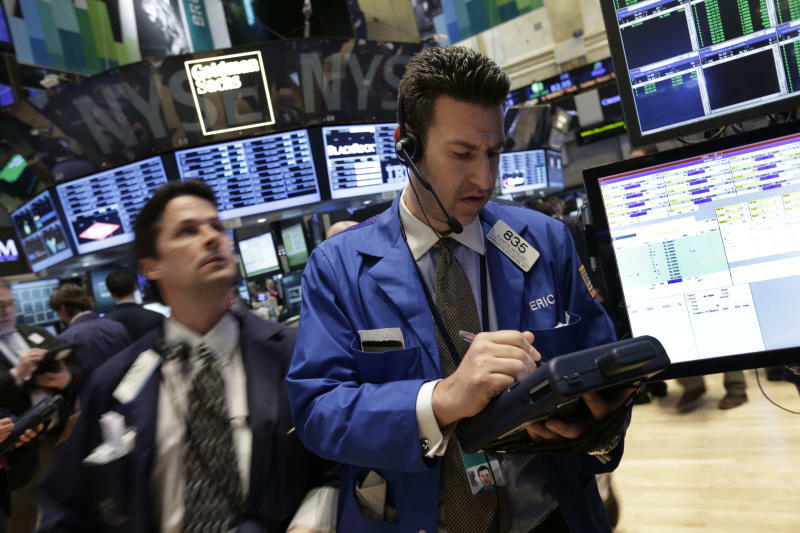 Tuesday's upturn in stocks put both indexes back in the black for April and closer to the record high closes they reached on April 11. It was a sharp change of tone from last week, when the market had its worst drop since November. That sell-off started after economic growth in China, the world's second-largest economy, slowed. So far, about 70 percent of the companies that reported earnings for the first quarter have beaten analysts' expectations, better than the 10-year average of 62 percent, according to data from S&P Capital IQ. Analysts currently expect earnings to rise by 2.1 percent in the first quarter, compared with 7.7 percent growth in the previous three-month period. Netflix soared 25 percent to $219 after reporting a big gain in subscribers in the first quarter late yesterday. Coach, which makes Luxury handbags and other accessories, soared 11 percent to $56.44. Lockheed rose 2 percent to $97.25. DuPont and Travelers each rose 3 percent, to $51.88 and $86.88. The Dow was up 123 points at 14,691 as of 1:45 p.m. The S&P 500 was 14 points higher at 1,576. Both indexes are 1 percent below their record high closes from nearly two weeks ago. The Nasdaq composite rose 34 points to 3,267. The yield on the 10-year Treasury note was 1.70 percent, unchanged from late Monday. Apple, the biggest component in the index, reports earnings after the market closes. Apple has lost 23 percent of its value this year. Investor worry that demand for the iPhone is waning as competitors like Samsung sell more smartphones. It stock was up 2 percent at $405.